A removable 5-channel mixer powers the XP150 with a 150-watt (2 x 75) Class D amplifier. 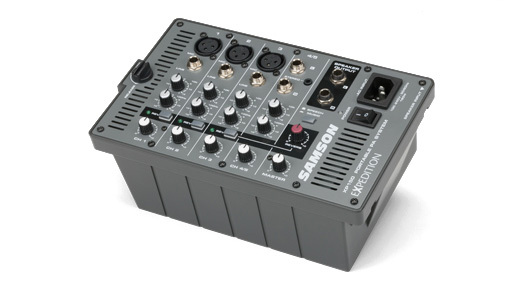 The mixer features three Mic/Line channels with XLR and 1/4-inch inputs, allowing you to connect microphones or line signals. It also includes one stereo 1/4-inch and 3.5mm input channel for connecting external devices like MP3 players, keyboards and more. There’s also a built-in digital effects processor to add Digital Reverb to your voice or instrument. Each channel features 2-band (bass and treble) controls. The XP150’s 2-way vented speakers give you a clean, powerful stereo sound. They produce deep bass tones, as well as pure dispersion and loud, lucid audio, through 6-inch low frequency drivers and custom 1-inch tweeters with 60° x 90° coverage. For display flexibility, these ABS, high impact plastic enclosures feature integrated 1 3/8-inch speaker stand mounts that can be used with Samson’s LS2 Lightweight Speaker Stands (sold separately), as well as a kickback design for use as floor monitors. 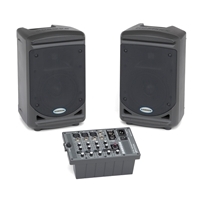 The XP150 stands out as a complete portable PA system that is perfect for small- to medium-sized musical, educational, business and recreational applications. With the XP150, your voice will command a boardroom podium with as much authority as a stage. 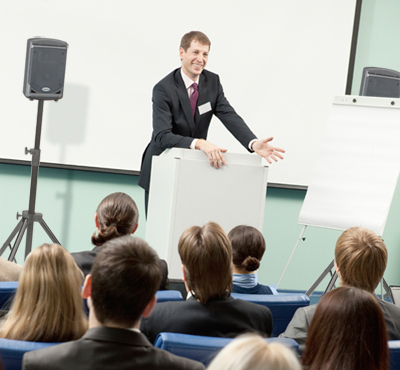 The XP150 provides the perfect solution for a business professional leading any sort of presentation. No matter the application (PowerPoint presentations, company meetings, corporate events, etc. 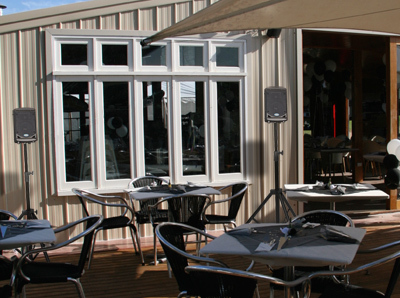 ), the XP150 allows you to convey your ideas in a clear, concise manor and perform your job better. Its 3.5mm stereo input also enables your MP3 player to playback audio clips and promote a more interactive listening experience for any audience. 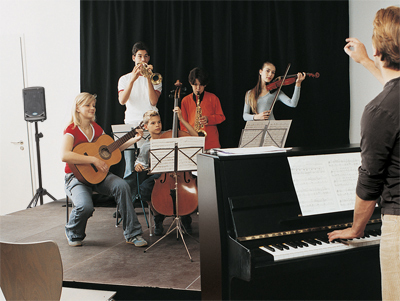 In addition to all students, teachers and professors using the XP150 in some of the same circumstances as business professionals (presentations, audio playback), the system possesses some functions unique to music education. It is ideal for directing small to medium instrumental ensembles and will help conductors keep even their percussionists on task. Thanks to the mixer’s 1/4-inch and 3.5mm stereo input, soloists and small ensembles can practice along with keyboards, drum machines or MP3/CD players. And by playing back these external devices, the XP150 makes the analysis of recorded music easier and a more interactive experience.